Mr Waqar completed his basic medical qualification (MBBS) from Rawalpindi Medical College (University of Health Sciences) Pakistan in 2005.This was complimented by two years of Foundation training in north-east England and a year of work in cardiothoracic surgery in Sheffield, where he passed the MRCSEd (General Surgery) examination. He then completed seven years of specialist ophthalmic training on the south-west rotation (Devon and Cornwall), followed by a one year sub-specialty glaucoma fellowship in Exeter. His clinical areas of expertise include the diagnosis and treatment of a wide variety of general and acute ophthalmic conditions. He specialises in the medical, laser and surgical treatment of Glaucoma, along with sutureless micro-incision cataract surgery which is tailored to the individual’s needs. 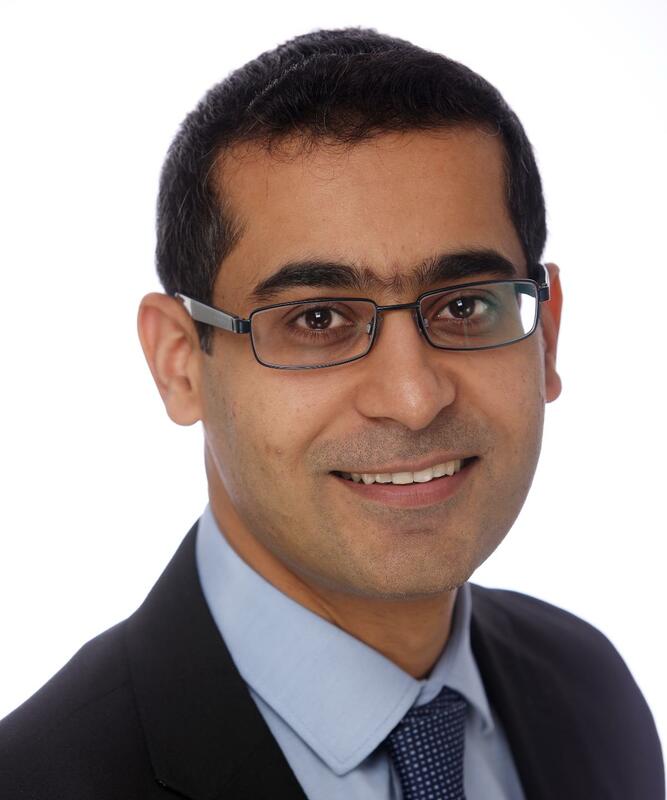 His academic interests include using virtual reality simulation to investigate surgeon performance and the development of innovative surgical instruments to improve patient safety. He is also an Honorary Fellow with Plymouth University where he is involved in training the doctors and surgeons of our future. Outside of work he is an aspiring author, keen reader, enthusiastic swimmer and triathlete, likes playing squash and enjoys exploring new walks in Dartmoor. Mr Waqar has published over 20 research articles in peer-reviewed journals including the British Journal of Ophthalmology, Eye, Journal of Cataract and Refractive Surgery, Canadian Journal of Ophthalmology, Medical Teacher and Graefe’s Archive for Clinical and Experimental Ophthalmology. He also regularly completes by invitation expert journal article reviews. He has received several local awards for his research from organisations such as the Torbay Medical Research Fund and the South West Ophthalmic Society. Mr Salman Waqar does not hold a share or financial interest in this hospital, another Nuffield Health hospital or the company. Mr Salman Waqar does not have a share or financial interest in equipment used at this hospital or another Nuffield Health hospital. Mr Salman Waqar does not hold any paid advisory role(s) at this hospital or on behalf of Nuffield Health.